We checked out of Sheraton Tokyo Bay and went to Tokyo station area for our accommodation booked through AirBnB for 2 nights. The stay at a Japanese style apartment cost SGD$191/night but we got it at a discount of SGD$141/night using DBS/SCB credit cards. We chose this apartment because it is within walking distance from JR Tokyo station where we will have to be at early tomorrow morning for our Mount Fuji 1 day tour. Also, we wanted to have the experience of staying in a Japanese apartment. Though it was a small apartment, it has everything a family needs. And of course, like all these Japanese, there were several clever layout and furniture designs. For example the toilet has space only for a cistern, so the wash basin is on top of the cistern and built in. When you flush the toilet bowl, water comes out from the tap at the basin simultaneously for you to wash your hands! The bath area is of course separate from the toilet and comes with a bath tub. The bedroom is brightly lit and airy, and there are little heart-warming post it notes peppered around the apartment welcoming us and giving us an insight into the host’s hospitality. It even comes with a WIFI router which we can bring out with us to enjoy complimentary wifi services. 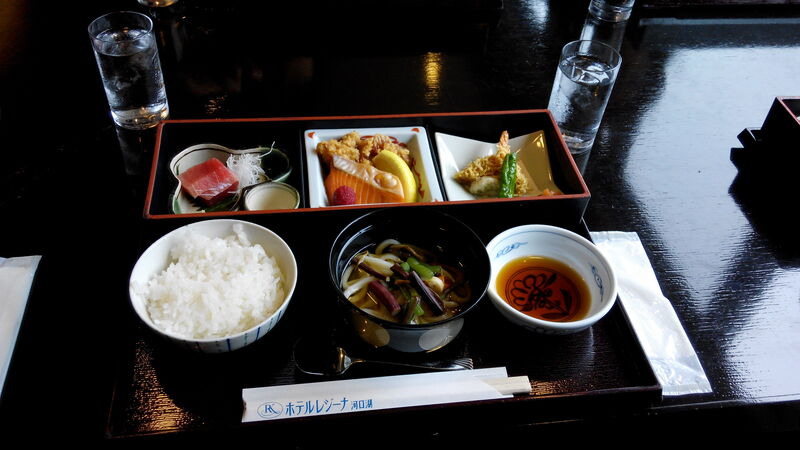 We went to Daimaru at Tokyo Station for lunch at Chiso Zanmai (available in Singapore too!). It is a buffet restaurant serving snow crab legs for 1,980 yen nett/ adult! After lunch we had a leisurely walk around Ginza area. Ginza is definitely a place to go for international brands and upmarket shopping. I love taking lifts in the departmental stores as they come with blind spot mirror at the lift door, where you can catch a glimpse of people running to the lift and hold the door open for them, instead of having to pop your head out for a peek, or worse, just press the ‘close door’ button without checking at all. Black Wagyu beef at Yazawa Meat Takeout featuring A5 rank wagyu-beef. It cost USD$27 for 2 burger patties set. We had booked a Mt-Fuji and Hakone 1 day trip with Shinkansen return ride 16,000 yen /pax (USD$160). It was a respite from the city scape of Tokyo and we all enjoyed the tour thoroughly despite that it started with bad weather. 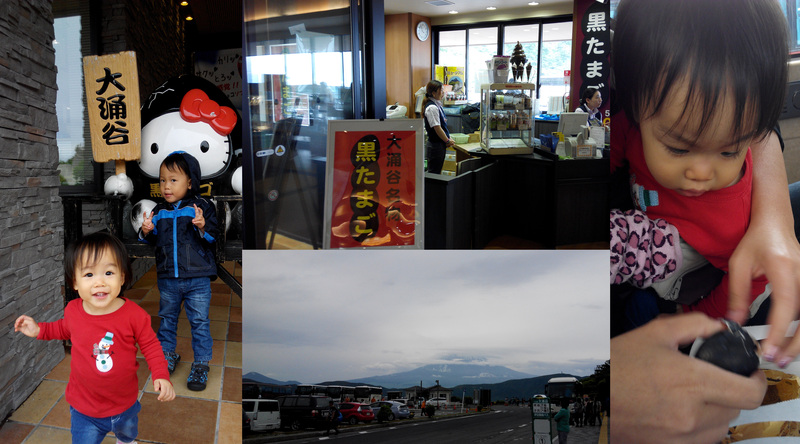 It was raining and at the 5th Station of Mt-Fuji, the temperature was 5 degrees Celsius with strong wing. We are all simply not dressed for this temperature during Summer in Tokyo! Thankfully the kids were very sporting about it, squealing with delight whenever a gust of wind blew their way. Sadly, Mount Fuji’s snow peak could not be seen clearly at this point, and feeling chilly from the weather, we chose to be indoor instead and bought a cob of steam corn for 500yen (USD$5!). It was the most expensive and yet the most tasty corn we have ever eaten in our cold and hungry state. By lunchtime, the weather had cleared up significantly and we managed to have a great view of Mount Fuji while having lunch. 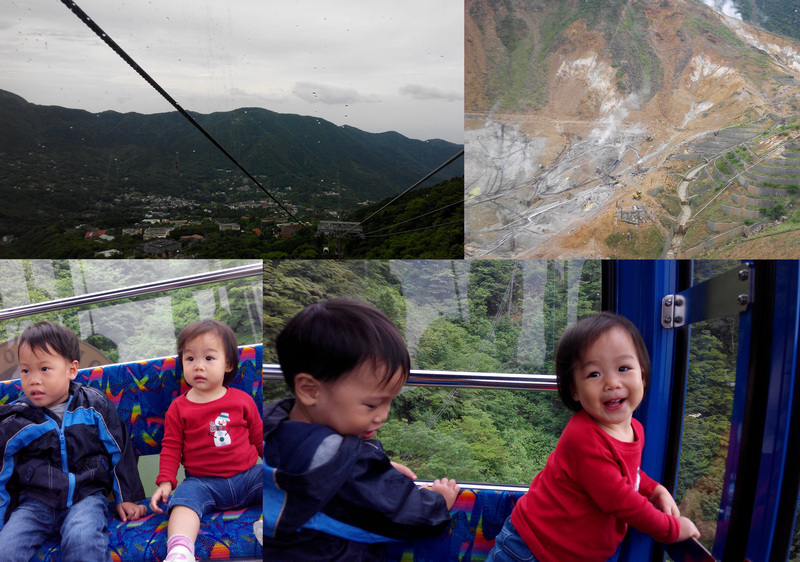 After lunch, we took the Hakone ropeway, offering a bird eye view of the landscape. There were multiple geothermal hotspots we saw releasing volcanic fumes. The kids were amazed at ‘smoke from the ground’ much like as it there were dragons residing within! More amazed to the kids though are the black eggs we bought that were cooked at sulphuric springs. 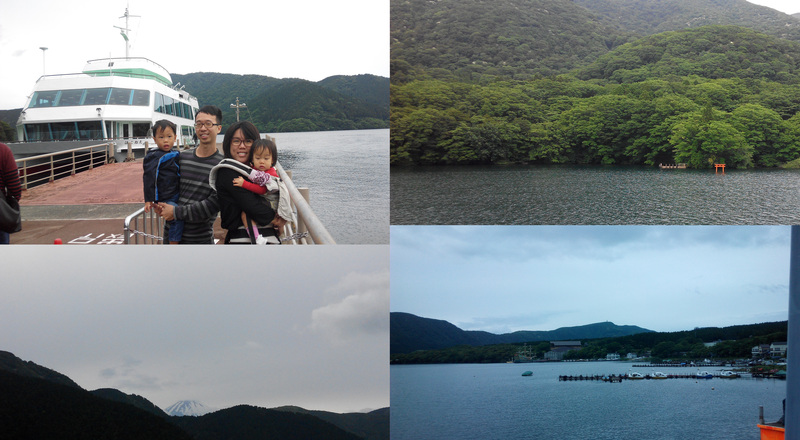 The tour ended with a leisurely ferry ride around Hakone Lake. Going back it was a Shinkansen ride from Odawara back to Tokyo. This was the highlight for Z who has a toy Shinkansen back at home. He was mesmerized by the appearance, the speed and the sound of the Shinkansen and was very much excited to realize he could get on it too! We had dinner at Yoshinoya, where besides ordering the famous beef bowl, we also had grilled octopus, maguro sashimi, and sake. This day marked the start of us travelling again to different international airports. We took the Keisei bus at 900 yen/pax from near JR Tokyo to Narita airport. 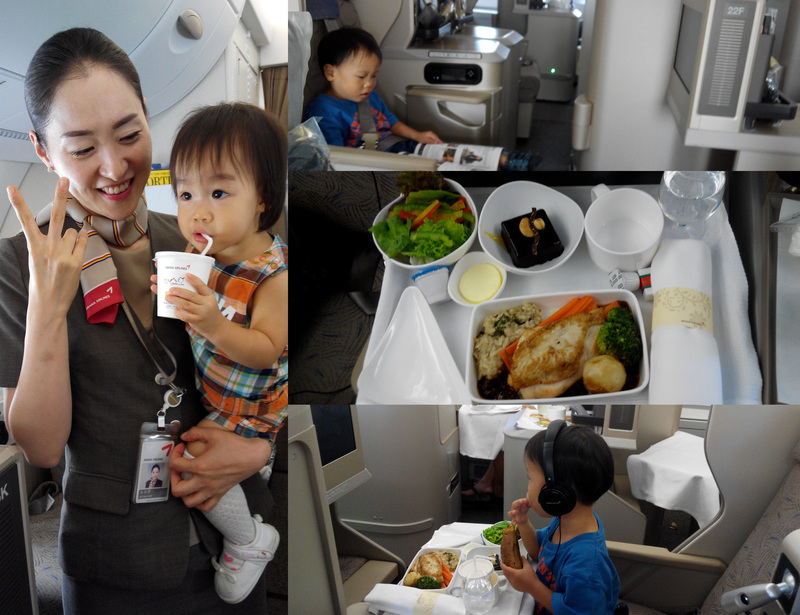 Today we will be flying to Incheon, Korea on the new ASIANA A380 business class. The plane even has a lounge for drinks on the upper deck! 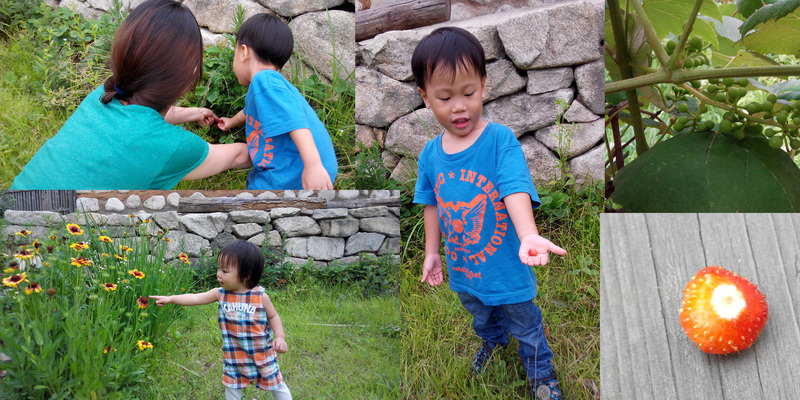 On arriving in Incheon, Anna from the hanok homestay we booked through AirBNB came to fetch us with her mom. 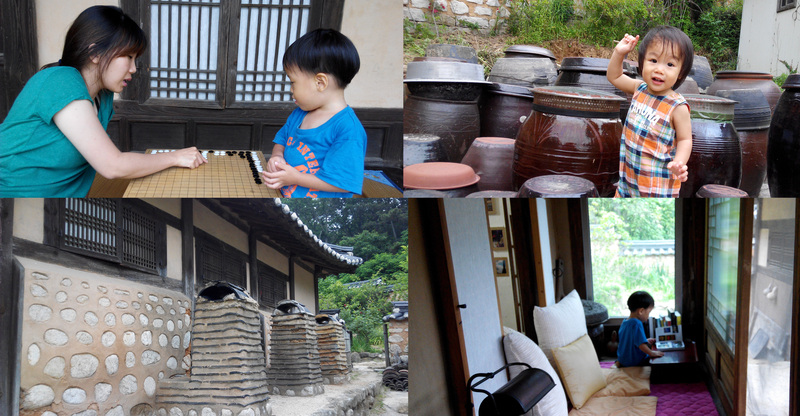 The hanok homestay (Ogamul) was another best experience of the trip! The hanok was located very near to Incheon Airport and near to a very popular beach that locals venture to for some sun, sand and sea. It was a very traditional, historical Korean house with its own dungeon-like coal heating system that warms the room and floor during winter. Like most traditional Korean family, they make their own kimchi. The host Anna was very hospitable and she pays great attention to details to ensure a comfortable stay. 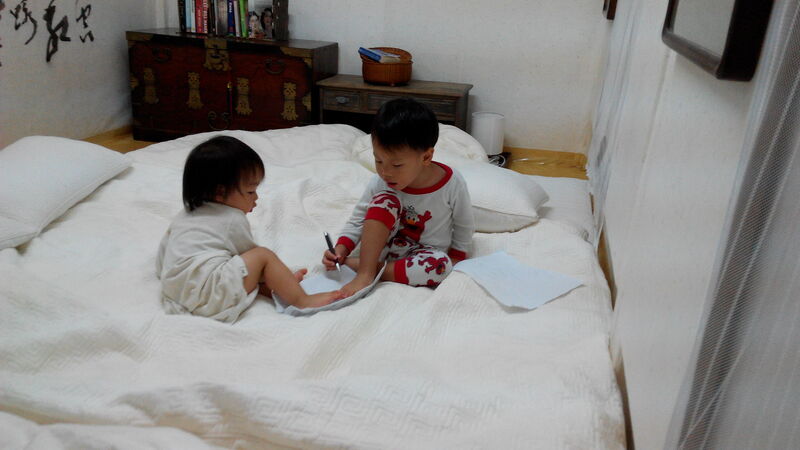 The kids love the closeness to nature, and the experience of sleeping on the floor. It was so comfortable that they slept a whole 12hours through. The homestay cost us SGD$73 after discount, a great deal don’t you think? Not in season, but we picked a small strawberry, and it’s sweet! 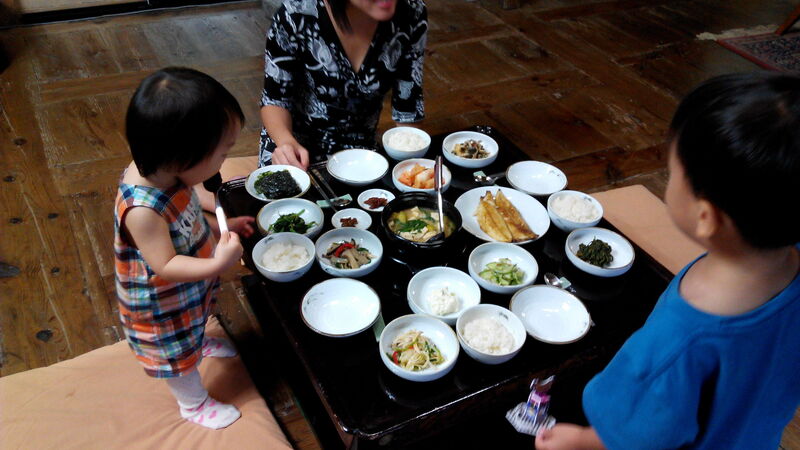 Dinner was home-cooked dinner by Anna’s mum for 7,000 won / adult. Most of the vegetables on the table were grown by Anna’s parents! We had lunch at EVA INFINTY LOUNGE and bought some Taiwan delicacies back. 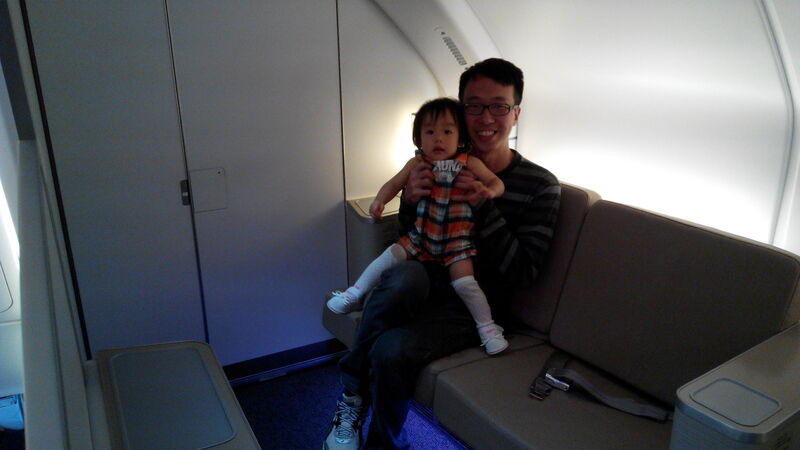 There after we took Eva Airlines Premium Laurel BR871 from TPE – HKG where we would be staying another night in Hongkong! Needless to say we booked a homestay near Tung Chun Mrt, which was less than 5mins away from the airport. The private apartment was 65 stories high and our hosts stayed on the 28th floor. The cost is SGD$70 after $50 discount by DBS/SCB. Being in Tung Chung, there was only one tourist attraction we could explore before our flight, and it was the Citygate premium outlet mall. It was not a huge mall so you can easily cover it in half a day, but there were a good varieties of luxury goods. We were pretty much wishing we were home by the time we board the plane from Hongkong to Bangkok on Thai Airway, and from Bangkok to Singapore on Singapore Airlines. The perk is that there were only 4 of us in business class on the SQ flight so the crew was especially attentive and cordial. On landing at 11+pm, it was a huge sigh of relief for us, We dashed out of the plane and quickly grab a cab back and in record time ever, managed to bath and settle the kids within 15 minutes!. Home has never smelled sweeter!